The extensive range and design of brandedmedias USB plastic packaging remains at the forefront of media storage solutions and we intend it should remain so. 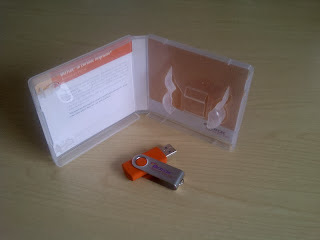 To this end brandedmedia offer the ultimate in USB plastic packaging quality, design and price. Brandedmedia are happy to do business with customers on large or small orders and we understand the impact our packaging has on your precious commodity within. All kinds of businesses choose brandedmedia products from multi-nationals to local stores, offices, showrooms and individual orders. USB plastic packaging comes in hard jewel case plastic to soft bendable material, coloured or clear and with product information inlay or without – you choose. With brandedmedia the customer is in charge and we do all we can to fulfil your expectations in terms of budget, design and timescale. The diversity of clientele mean that brandedmedia can quickly come to grips with customer requirement and are able to offer fast and workable solutions. Although situated in south England, the customer base of our company is spreading across the UK and we are able to deliver across the country to deadline. The brandedmedia team understand that there would be no brandedmedia without you; the customer, therefore you can trust that our friendly and knowledgeable team of advisors will be with you every step of the way from your initial decision to purchase, through design format, quantity, delivery and fulfilment. Choose brandedmedia and you receive –in the best possible way – much more than you bargained for. © 2011 Copyright brandedmedia. All rights reserved.